Game nights feature the challenges and triumphs between parents and kids as they work together (or against one another) helps to bring your family closer together. Also important, games provide fun togetherness during long winter days and nights! At the Winning Moves website we were able to find a great collection of popular and unique games great for the whole gang.The great folks over at Winning Moves allowed us to choose several games to test, er, play with our family. Winning Moves was founded in 1995, and the company — Winning Moves USA (WMUSA) — is a leading maker of board games, card games, and puzzles. 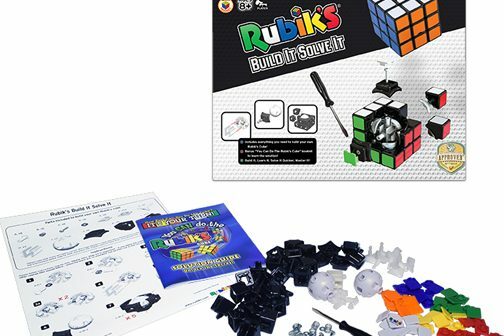 WMUSA has a close relationships with game companies like Hasbro, Inc. and Seven Towns, Ltd. As a result, many long-lived Parker Brothers and Milton Bradley games & Rubik’s puzzles are marketed enthusiastically by WMUSA! Connect with Winning Moves Games on Social Media! Disclaimer: We received the following bath toys for review, and are thrilled to offer our honest feedback along with information for you to review! Our family has had a running love of game nights since the boys were young; now that they are teenagers and have different challenges and interests it’s both easier and harder to gain their interest. Easier because most electronic or DVD games go over great; and harder because we don’t want them playing online or with different devices all the time. With three guys at different points on the autism spectrum, we usually look for diverse games for our guys for Christmas. Sometimes the goal is to help them learn something, and other times it is just to get everyone in the same room at the same time! Read on for some of the games we chose along with some info on each one! 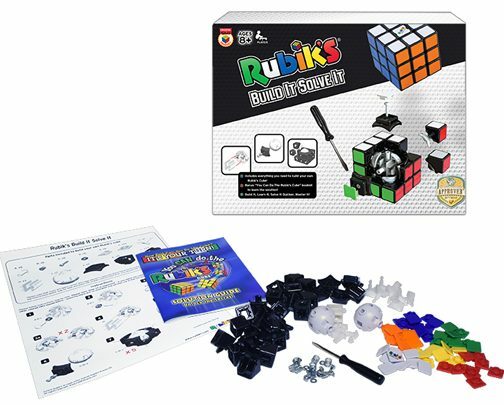 This relatively new option from the same folks who came up with the infamous Rubik’s® Cube, the Rubik’s® Build It Solve It is not really for family fun, but it’s great for that curious kid or teen who likes to know how things work. This game was perfect for our middle son, who often takes things apart and puts them back together again. The instructions were easy to follow and understand, even for younger kids. But the instructions and the ‘game’ was still perfect for an older teen to enjoy. You Can Do The Rubiks Cube Solution Booklet. In this game that has been around for decades but was all-new for 2017, kids (and parents!) learn trivia about the States as they ‘race’ across the country ‘buying and selling’ things along the way. It’s kind of like a trivia game mixed with Monopoly (US states version!). 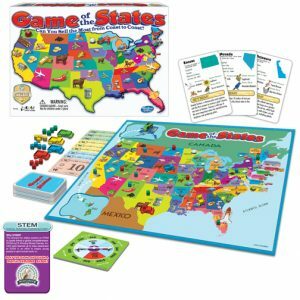 Great for families to play, the Game of the States was also perfect for our oldest, who LOVES to learn trivia facts and is naturally curious about the different states. The neat part of this game includes the educational trip the whole family gets to take — the trivia includes facts about each state with a focus on STEM info – ie. Science, Technology, Engineering and Math. 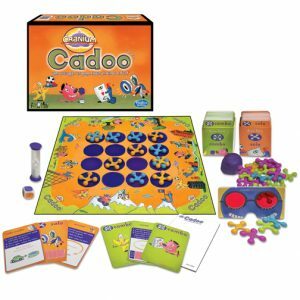 This is the original version of the game, back to excite more kids, groups and families into puzzling, sketching and sculpting with the Cranium® Cadoo game. The sheer number of things to do as part of this game make it a favorite for kids and families to play. Cranium Cadoo allows kids and grownups to imagine and create as they race one another to win. Having to think through the cards and create in order to advance, this classic game will have all players racing to think and create under pressure. Most folks are familiar with playing card games, including old favorites like Go Fish, War, and Uno. But the Winning Moves site has some new takes on some old favorite board games. Old familiar games in new formats include the Clue® Suspect Card Game, Monopoly® The Card Game, Canasta Caliente®, and even Scattergories®: The Card Game along with several others. We added the Clue® Suspect Card Game, and Pictureka!® Card Game to our stash so we have something fun for travel purposes. We haven’t had a chance to play them yet but I wanted to include a little more information for you on them! 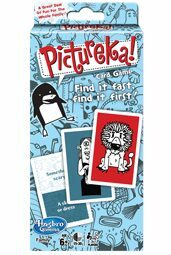 Perfect for families, friends and parties, the Pictureka! card game is loads of creative, energetic fun for players of all ages. There are 4 different game modes, and they vary in pace so you’re sure to be able to play the perfect paced game for your crowd. This is a game for artists and wanna-bes as well as most people in-between. The pictures/clues are simple to understand for even very young players, and the portable version makes it even something that can be played on a long car ride. Take the board away from this old family classic and you are left with a great, portable game great for families and friends or groups and events! This version of the Clue Suspect Card game brings back the the three objectives – figure out who did it, where they did it, and how they did it! And you still have your confidential envelope with the answers. Between the detailed cards and imagery, this card game feels like a full game experience. It leaves more to the imagination and can be played in a smaller place and potentially by younger audiences with the great images included on the cards. Chocolate Makes People Happy…Science Says So. The Happy Chocolatier Takes it up a Notch.